Amber Wolf, Ph.D. has been committed to and practicing holistic health care and education since 1982. She is an internationally known teacher, facilitator, author, recording artist, healing intuitive, and channel. 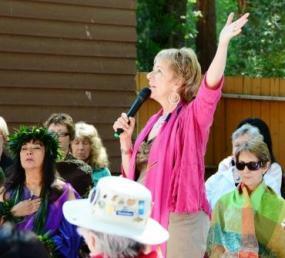 She is a past member of the 3HO Foundation, a 35-year active member of Self-Realization Fellowship, a Kryon Discovery Series producer, a Kryon team member and presenting partner of Lee Carroll, and facilitator and creator of the Lemurian Sisterhood Seminars. Raised in rural New England, Dr. Wolf spent her youth in nature, always feeling drawn to the ‘spirit in nature.’ This continued into adulthood when she moved to the Alaskan wilderness, where she lived for 12 years. Surviving amidst the beauty and harshness of the elements, Dr. Wolf learned indigenous healing remedies and midwifery, while deepening her relationship to the natural world. Moving to Colorado in 1989 opened more doors in the health and spiritual field, as she began her full time career as a health practitioner in cranial sacral therapy and “transformational” healing. A near-death accident in 1994 brought severe head and body injuries, but also the gift and ability to experience a heightened source of energy and wisdom. The foothills of the Colorado Rocky Mountains have been her home and sanctuary for 28 years. 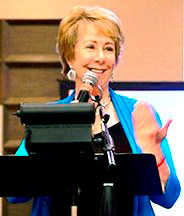 Completing her Ph.D. in 1995 in Holistic Science and Alternative Therapies, Dr. Wolf is a Certified Cranial Sacral Therapist, Certified Somatic Therapist, trained Quantum-Touch practitioner, licensed minister, a Yoga Instructor and Pilates Instructor, a Maxtrix Energetics practitioner, and Certified Laughter Yoga Leader. She is a member in good standing of the American CranioSacral Therapy Association, the International Association of Healthcare Practitioners and a member of ABMP, Associated Massage and BodyWork Professionals. Dr. Wolf has been inspired to create nine Healing and Meditation Albums. Her voice has special and unique healing attributes that combine with carefully selected music and binaural beats to assist you in your journey of personal empowerment and transformation.